Men’s sky blue T-shirt. This stormy sky blue T-shirt is the perfect all rounder and is ideal for casual occasions, while it can also be worn to Oktoberfest when paired with classic leather shorts or longer Lederhosen. 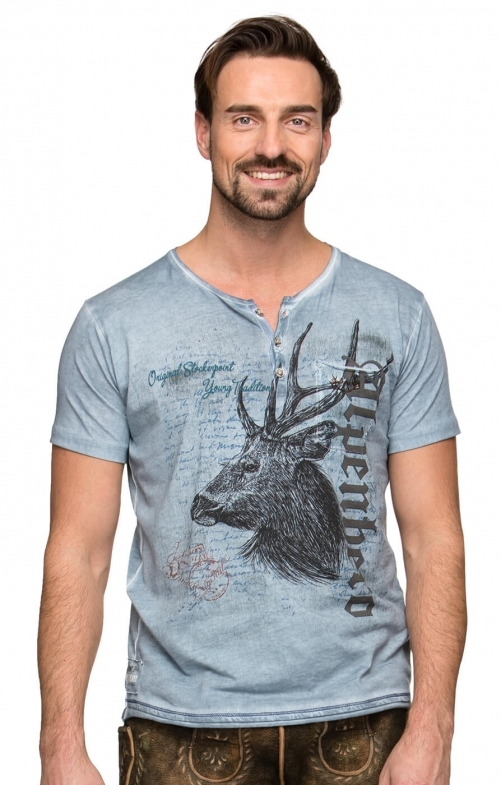 It features a large and bold traditional Bavarian deer-head image on the front in brown and a smaller deer-head detail on the back.